One of the largest ever finds of Roman coins in Britain has been made by a man using a metal detector. 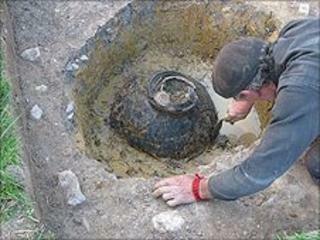 The hoard of more than 52,000 coins dating from the 3rd Century AD was found buried in a field near Frome in Somerset. The story of the excavation will be told in a new BBC Two archaeology series, Digging for Britain, presented by Dr Alice Roberts and made by 360production, to be broadcast in August.